The most wonderful time of the year is here, and with it comes the treat (or hassle, depending on your outlook) of buying gifts for loved ones. While shopping for the perfect gift for your littles and not-so-littles, nothing beats supporting Black-owned businesses. Representation matters and not only is it important to have presents that reflect our children back to them, it’s important to make sure the people creating the products we buy for ourselves and our families reflect our values. With that in mind, mater mea has created a holiday gift guide that includes toys, books, and apparel made by our favorite Black-owned companies. And while this was created with kids, tweens, and teens in mind, you may find something for yourself in here, too. Robots, augmented reality, gaming… battle bot MekaMon has it all. It won’t reduce your kids’ screen time, but with an app that lets you use coding to control your Mekamon, it feels way more productive and educational than your typical video game. Bonus: It was created by a Nigerian engineer, giving your kids a STEM role model to look up to. There’s an adorable homespun-yet-chic feel to HarperIman dolls that both you and your little one will love. 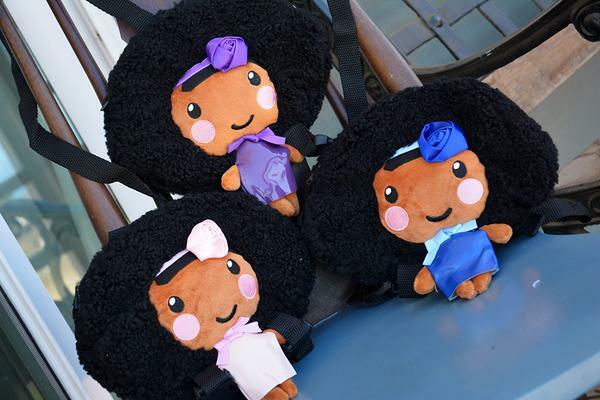 The handmade linen dolls come in six shades, and have hairstyles and cute outfits that scream Black Girl Magic. Children ages 3–7 will love Callaloo Kids. This children’s media brand promotes cultural awareness through books, animation, digital products, and live performances. Want to give your kids a more-than-passing understanding of Africa? Bino and Fino is a great way to introduce them to the varied people and cultures that make up the continent. The Nigerian cartoon show has had great success stateside—you can get DVDs and plush versions of the title characters for your little adventurers. Looking to give the gift that keeps on giving? Just Like Me! 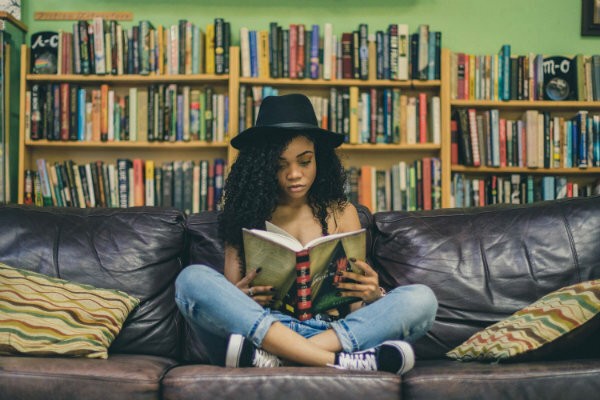 Box and Little Buzz Book Club have book subscriptions for kids of all ages that include African-American main characters and themes. And Because of Them We Can is launching a subscription box that promises to deliver “Black history and excellence” every month. And for those of you who have a budding scientist or inventor on your hands, there’s Brown Toy Box, a subscription box service that gives children from Pre-K to the 7th Grade fun and interactive STEAM (that’s Science, Tech, Engineering, Art, and Math) activities and toys with them in mind. Representation in film matters. Karyn Parsons—best known as Hilary from The Fresh Prince of Bel-Air—gets it. As founder of Sweet Blackberry, Parsons created a brand that includes films of Black heroes like aviator Bessie Coleman, the first person of African-American and Native American descent to have a pilot license. Rich in history and heritage, these inspirational and empowering stories would make great gifts for your little ones. Many of us know OkayPlayer as a digital destination for all things hip-hop, but did you know they have a pretty great merch section, too? Get your young music lovers a Bigger Than Hip Hop onesie or T-shirt. Canada’s Kids Swag is a place where you can buy gifts that feature positive Black images. Bookbags, swim caps, dolls, apparel—you name it, they’ve got it. Gbekembe (pronounced bek-em-bee) was made with little girls in mind. These kente cloth dresses were inspired by the dresses founder Florence Amerley Adu’s mom made for her and her older sisters. You’re already familiar with KaAn’s Designs and probably didn’t even know it: They’re the brand responsible for those “The Original,” “The Remix,” “The Encore,” and “Mic Drop” t-shirts your favorite Instagram families wear. There’s a lot more where that came from—we’re especially fond of this denim jacket. You’re never too young to appreciate a good handbag. Gregory Sylvia offers affordable and classic leather wallets, and other leather goods that are far more elevated than your average teenagers’ bag. Got a classic man in training? He’ll appreciate these cufflinks from My Filibo, pocket squares from Armstrong & Wilson, bow ties by SONSON, and lux watches (excuse us, timepieces) from Talley and Twine. Whether or not your son’s facial hair is more of an idea than a reality, he could probably use an upgrade. Replace his drugstore razor and shaving gel with Bevel’s line of shaving and grooming products. Tees in the Trap is a go-to for funny, tongue-in-cheek t-shirts, tote bags, and random ephemera. Though not all of their products are kid friendly or suitable for school, this t-shirt is perfect for your baby who loves Beyonce and also wants to share this timeless reminder. Give your daughter a visual reminder of how much you love her with this beautiful heart-shaped ring created by mater mea mom Lorraine West. Candid Art has unique jewelry perfect for your creative, artsy soul. You’re already familiar with Kashmir Thompson’s work from Insecure. Put your kids on with any one of her t-shirts and bags, which make epic moments in Black pop culture wearable. We especially love her Blank Panther products: she has t-shirts with The Dora Milaje, Shuri, and Black Panther punching the KKK on them. Mahogany Books is an online (and Washington, D.C.-based) bookstore that carries “books written for, by, or about people of the African Diaspora.” Get a few books from your kids’ wishlist here—there’s fantasy novel Blade So Black, young adult romance Finding Yvonne, sports drama Ghost, James Baldwin’s only children’s book Little Man, Little Man and illustrated Black history book Young, Gifted, and Black, just to name a few. Teen celebrity chef Ashalah Michelle has a delectable array of culinary treats for kids and teens. Cook Me Up a Notch also has an eBook for purchase, as well as DIY baking kits that include engaging STEAM lessons for your baker/scientist. She’s all that! That’s why the scrapbook kit and coloring books are perfect for the young girls in your life. The She’s All That Shop was created to empower young girls through scrapbooking and coloring prominent black women in history. The coloring book is recommended for girls 5-8, while the scrapbook is suggested for 9 and older. Developing a self-care practice rooted in arts and crafts can start now. Introduce your child to embroidery with these DIY kits from Create The Culture. Nothing beats the holidays like a visit from Santa Claus. But where can Black children find a Santa who looks like them? The Real Black Santa company arranges events and pictures with Santa. And there are a few malls around the country that have Black Santas. 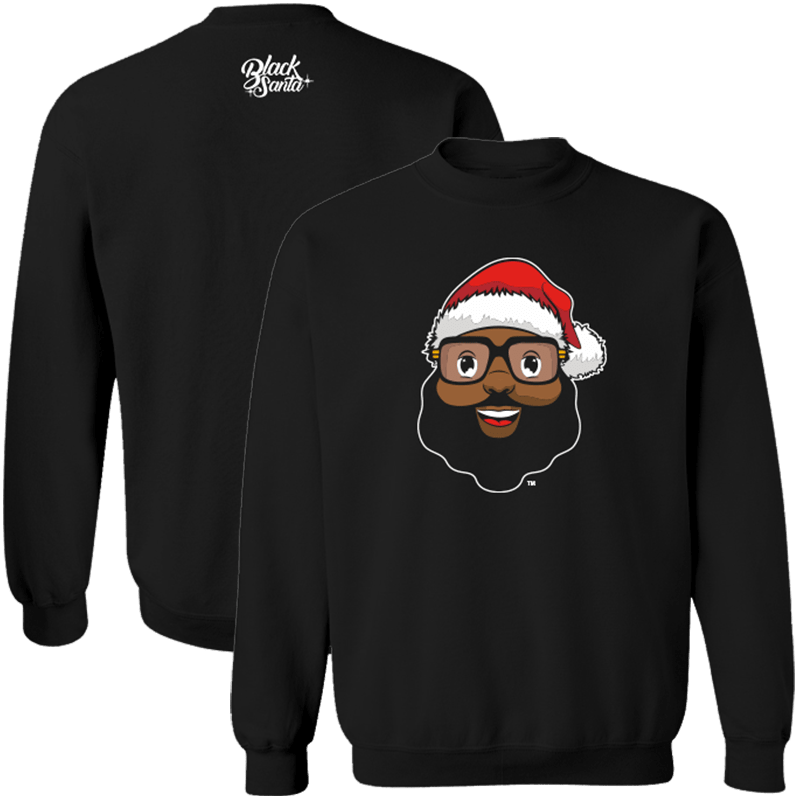 If you’re in the market for Black Santa apparel, the Black Santa Company has got you covered. Founded by NBA player Baron Davis, this company seeks to change the narrative of Santa and Mrs. Claus. The shop carries apparel for all ages—and if you’re lucky enough to live in Oakland, California, the Black Santa Company is hosting a Black Santa Wonderland. Yes, Black Santa and Mrs. Claus will be there! Looking for Black Santa wrapping paper? Greentop Gifts created Clarence Claus wrapping paper. “Clarence represents what we were missing during the holiday season,” writes founder Jackie Rodgers, “wrapping paper and products that featured the ‘jolly’ old man from the North Pole that looked like us.” Make your holiday gift giving complete with this gift wrap. Are there any businesses you think should be included? Tell us about them in the comments! Tonya Abari is a freelance editor, writer, content strategist, author-in-training, and homeschooling mama. She is a multipotentialite, advocate for realistic and diverse portraits of motherhood, lover of incredible stories from ordinary people, and an intermediate juggler of all things. You can read about Tonya online or follow her on Instagram. Anthonia Akitunde is the founder of mater mea.